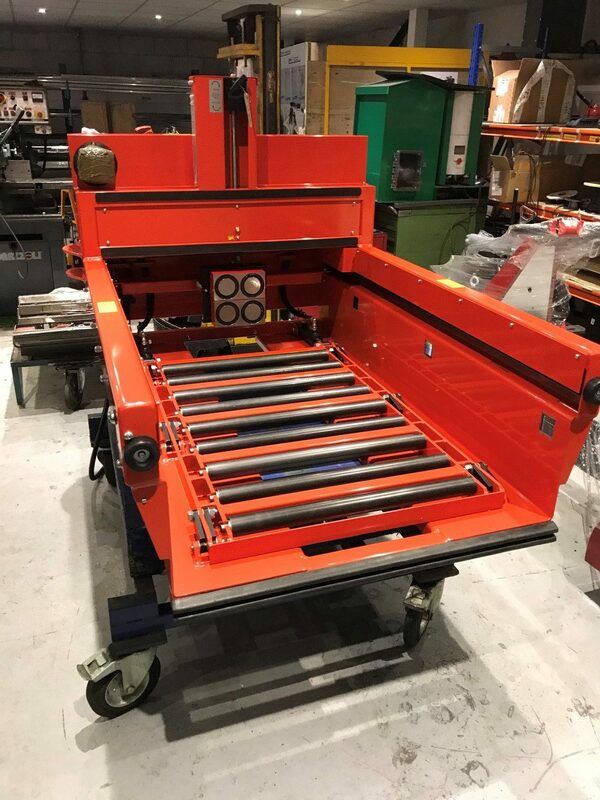 The PU 1250 x 1000 Dual Height Special is fixed to a PPT (Powered Pallet Truck) providing a fast and efficient mobile battery changing solution for 24 hour warehouse operations. 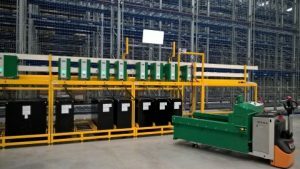 The PU is powered by a hydraulic power pack which, in partnership with a pair of powerful magnets exchanges batteries between fork trucks and battery charging racks. Additional 3 x proximity switch and reflector. External contact relay to connect to the PPT. Yellow label around the emergency stop button.